Eating Brazilian food also means diving into its Portuguese culinary heritage. This influence comes to the fore at several typical traditional eateries, spread out over town. Think of fried cod balls (bolinhos de bacalhau) and a gorgeous red wine as a starter. A quintessential part of the Brazilian experience. Antiquarius is one of those fine dining places where Portuguese flavors blends in a natural way with traditional Brazilian cuisine. Located in the chic neighborhood of Leblon, the ‘old world’ feel is very much present in this celebrated restaurant. 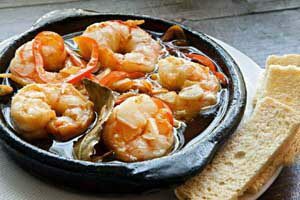 Besides typical Brazilian dishes, Antiquarius, serves a wide array of Portuguese food, from seafood, to pork, beef and goat. 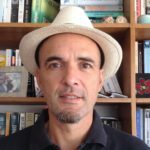 Recommended picks are for example the Caldo Verde, a traditional Portuguese kale soup and the Portuguese oven roasted salt cod. Okay, it may be it a bit pricey, but if you’re craving for some real Portuguese food, it can’t get any better. 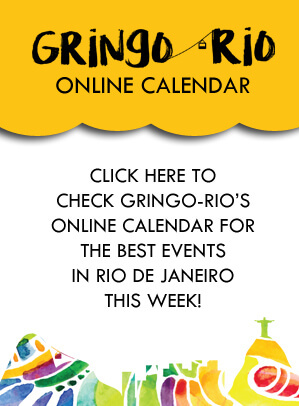 A relative newcomer to the Rio food scene is Rancho Português, a local branch of its namesake in São Paulo. 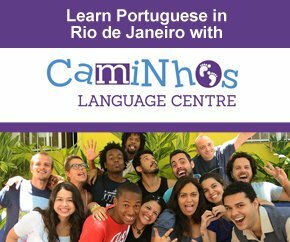 Located in the heart of trendy neighborhood Ipanema, at walking distance from the lake, Lagoa, it can’t get any more Portuguese than in this eatery. Just a look at the interior, the blue and white decor, with the classic Portuguese tiles, makes it a true lusitanian experience. Think of eating of grilled sardines, or Rancho’s specialty: crispy skin piglet a Bairrada, named after the Portuguese town famous for its spit roasted piglets. In the back streets of Copacabana, across an interesting antiques shopping mall (shopping dos antiquarios), you’ll find Adega Pérola. Small, authentic and a great vibe make this place, a great location for drinks and eating tapas. Originally founded by a Portuguese family from the isle of Madeira in 1957, the owners made sure the Iberian atmosphere is inescapable. 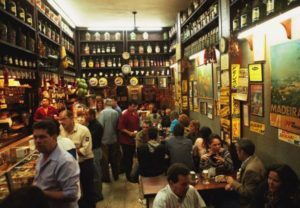 You can either sit at the handful of tables inside the boteco, at the bar or stand outside, like the locals do, at the end of the day. Mouthwatering is the display in a long glass counter of the enormous selection of foods, from sardines, mussels to squid. Highly recommended are the polvo vinagrete (octopus) and pérolas do mar (mixed marinated seafood). With the revitalization of the Rio’s port zone, the Mosteiro restaurant in Rio de Janeiro is a great option for lunch after for example visiting Mauá square. 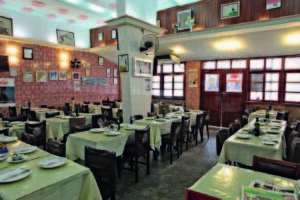 Located in the street named after the São Bento monastery (across the street and one the oldest buildings in the city) the restaurant serves excellent Portuguese food since 1964. Duck, seafood or octopus are all on the menu. For dessert the traditional pastel de Nata, a Portuguese egg tart pastry, is a must. If you’re planning to get a taste of nightlife in Rio’s bohemian quarter of Lapa, you might as well combine it with a stop at Nova Capela. Waiters in white dinner jackets, proud of their jobs, are there to serve the clients till the small hours of the night. Images of saints and old pictures on the tiled walls, help to preserve the lusitanian atmosphere. This eatery, founded 114 years ago, is famous for its cabrito, roast lamb leg served with broccoli rice, a bit pricey these days, but definitely worth trying if you’re in the mood for lamb. Also, check out the wine list, with predominantly Portuguese wines.